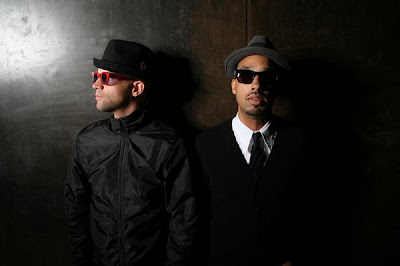 Unsigned but not unnoticed, Beverly Hills-based Rootbeer, a duo comprised of LA Symphony producer/member Pigeon John and Flynn Adam, obvious fans of Hall and Oates (the only influence listed on the pair’s Myspace), meld an array of exotic rhythms and danceable beats on their single “Pink Limousine,” track 16 on Foundtrack’s Winter 2009 Compilation. “Pink Limousine’s” groovable bongo beats, rap cadences, tongue-in-cheek tinges, and infectious hooks make for appealing hipster Hip-hop, a style that permeates Rootbeer’s 5-song Pink Limousine EP that was released on March 10. Although Rootbeer threatens, “Watch or die!,” try to sit back and relax with the single’s chic and entertaining music video. 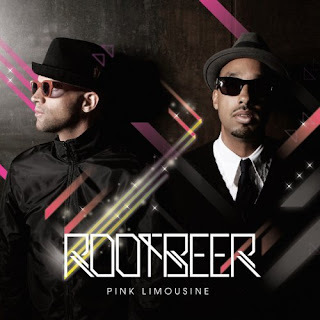 As part of their “Pink Limousine Tour” that began back on March 14, Rootbeer sweetened up several southwestern cities including Austin for the SXSW Music and Media Conference. In case you're in San Diego this evening, the bubbly pair plan to play at the annual Sun God Fest at UCSD alongside N.E.R.D, Cool Kids, Iron and Wine, and more.